Adding antique pieces of furniture to your home adds character and charm in a way that regular store bought items simply cannot. It is a great way to include totally unique pieces of home decor throughout your house that could tell a story of their own. You may have noticed this amazing little stool in pictures from yesterday’s post about using an old dresser as an entertainment center. 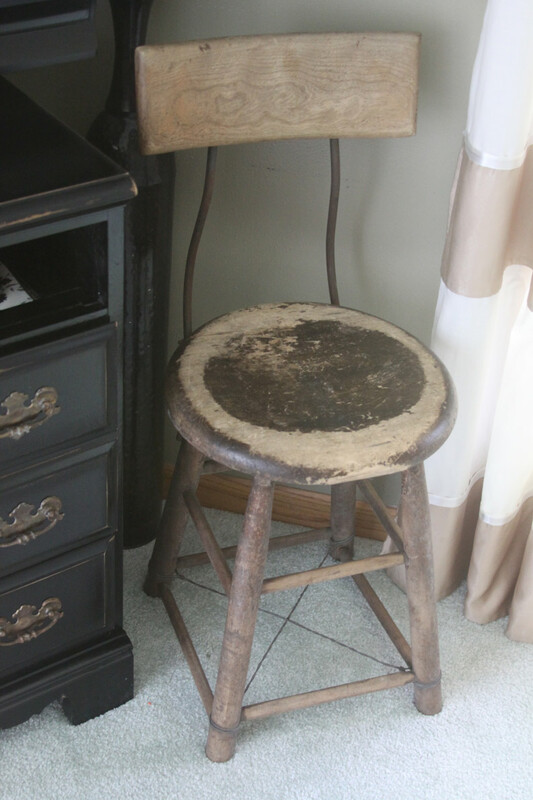 While shopping a few local antique shops with my Mom recently I laid eyes on this beautiful little stool, and it was love at first sight. The stool was outdoors surrounded by a bunch of other cool old “junk”. We pulled it out and wiped off the dust to find a totally unique and weather stool that was sturdy as could be. I immediately knew that it would come home with me, and for under $20 I now have the perfect little stool that is super useful and adorable too. 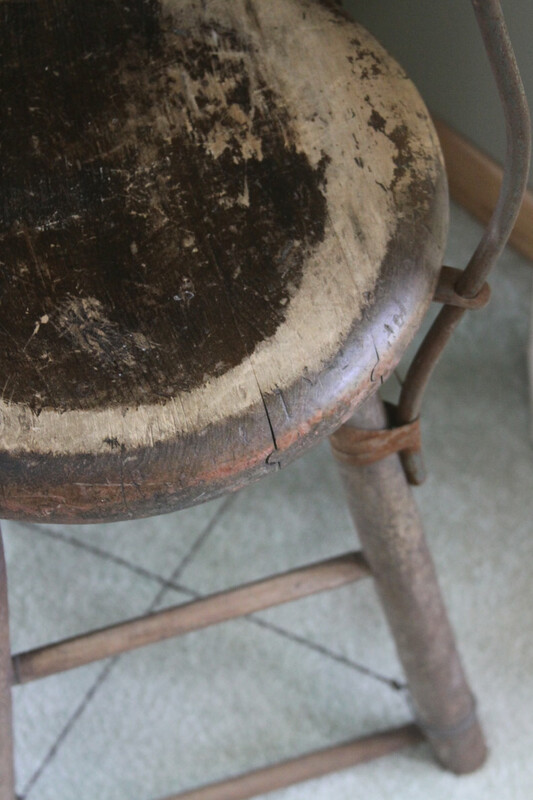 There are so many amazing rusty and worn colors and shapes to this chair, and I love it so much! 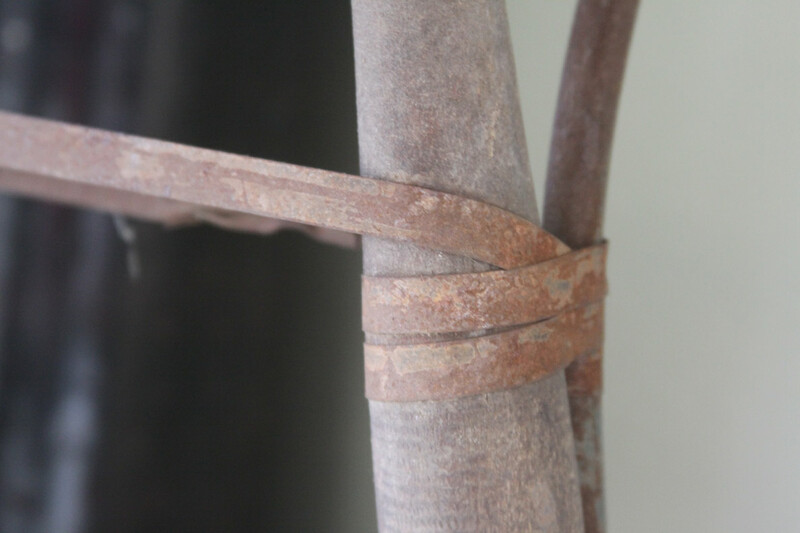 to the weathered notched wooden seat with worn paint, and I can’t get enough of the rusted old wires crossed at the bottom of the legs. 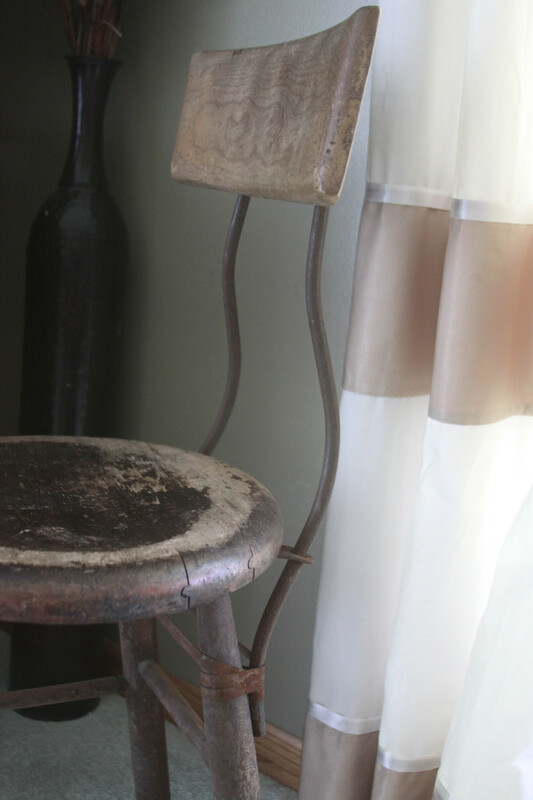 I am so thrilled with my junk find…ahhh … isn’t it rusty, crusty, and perfect? It just makes me want to hear the whole story of where the chair came from, and what it was used for over it’s years. This chair has everything: great colors, amazing lines, character, texture, and a unique style, and it is unbelievably well built and sturdy for how old it is. Sometimes it pays to stop and look through someone’s junk – you could find a diamond in the rough!